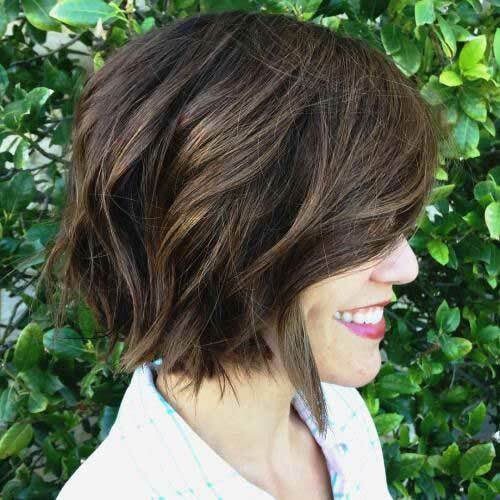 Choppy layering and chunky highlights creates a nice style for this lady with bob hairstyle. 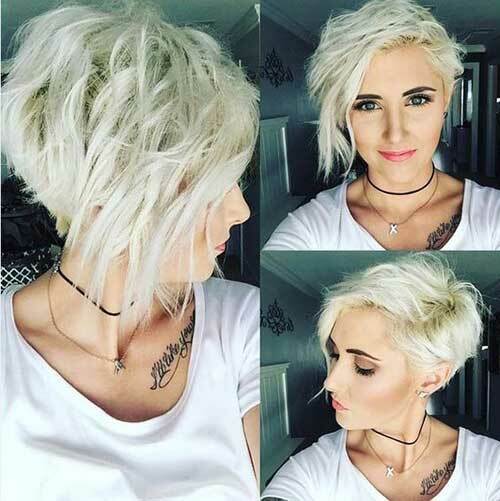 Wavy and messy styles are popular among women and this platinum asymmetrical short hairstyle looks great with this casual look. 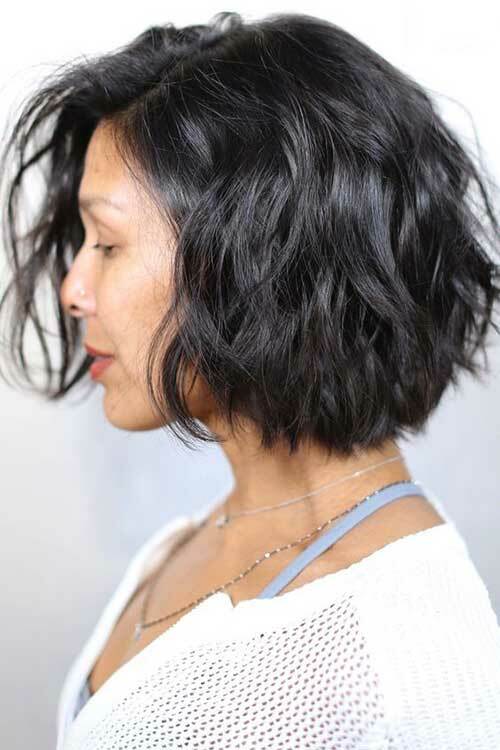 This sombre short bob hair has some barely there waves, you can easily create this style with blow-out. 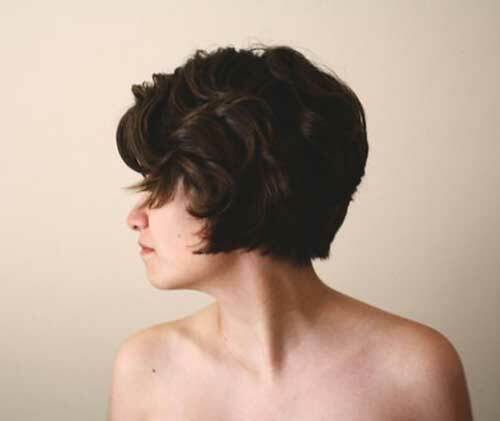 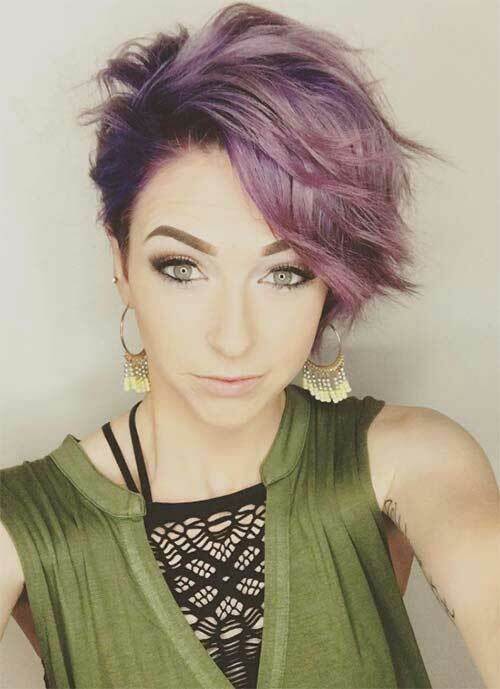 Purple short haircut with layering and messy waves is the proof that you can sport wavy styles with a pixie. 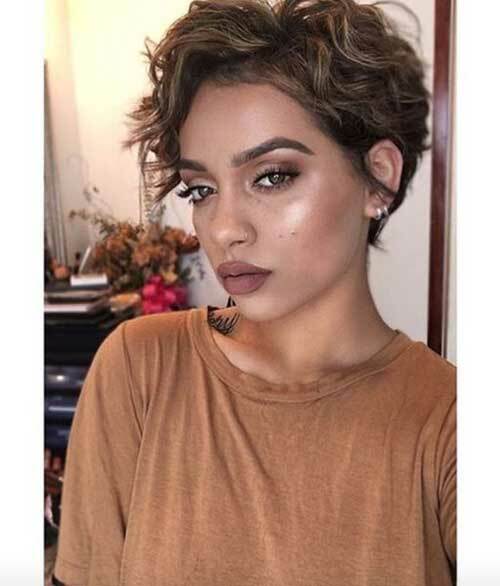 Here is a really nice curly/wavy hairstyle idea for black girls who like to opt with a new short haircut. 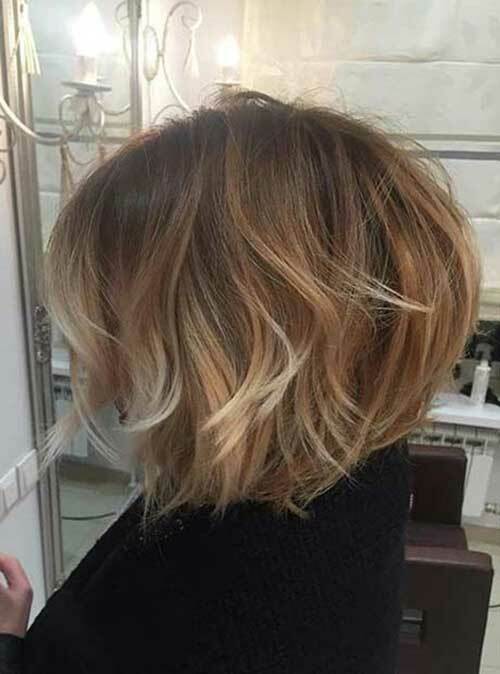 This short bob hair with sun kissed highlights looks really nice and chic with a wavy style. 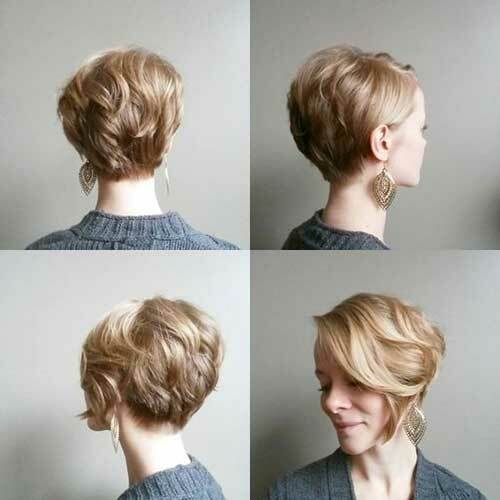 Layered short hairstyles will look much more wavy by itself especially if you have thick hair texture. 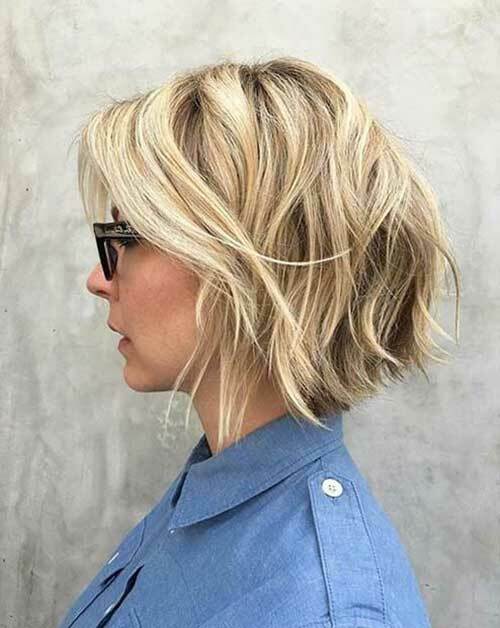 This women’s naturally wavy hair look really modern and chic with this bob hair and choppy layering. 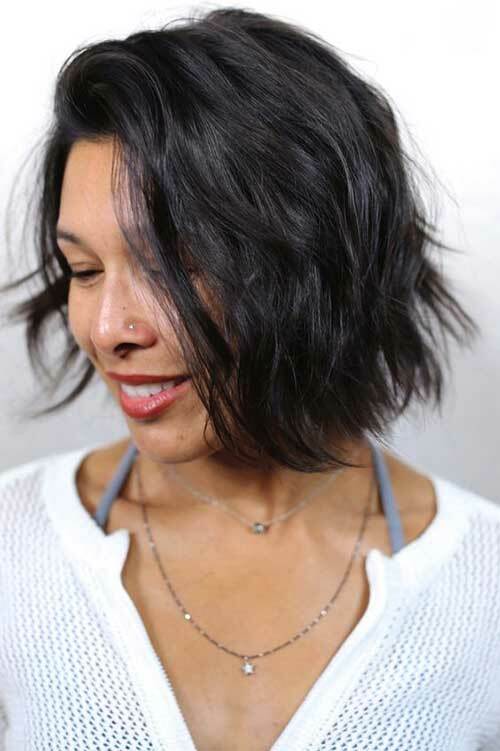 Beach style look great with wavy hair, bob haircuts are perfect for this look regardless of the season. 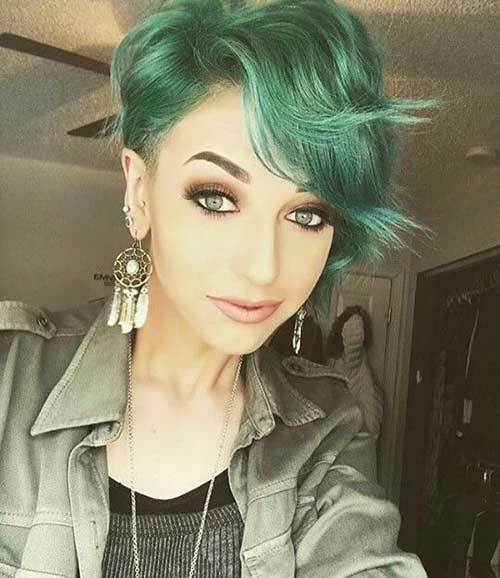 Green colored pixie with loose wave is nicely flatter her beautiful green eyes. 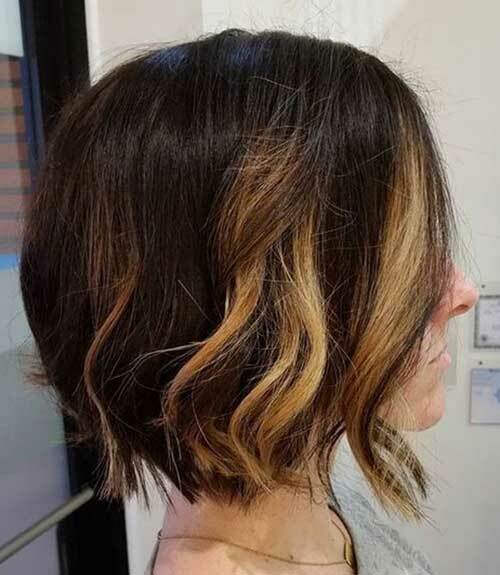 This layered bob hair with low-lights and beach waves looks like a day from summer but it can be sported with sea salt sprays for winter too. 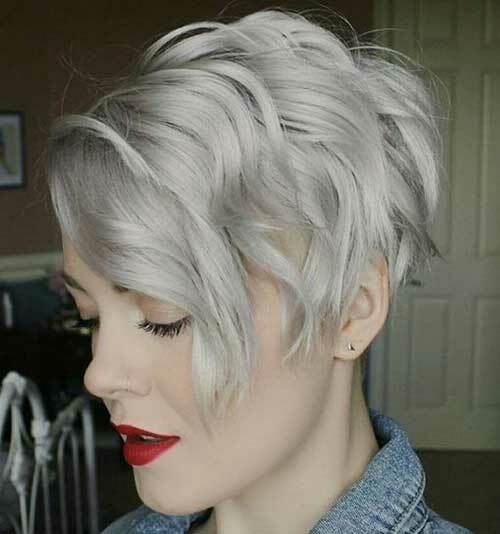 Silver pixie bob is styles into big waves and this look add a really nice movement and chic style. 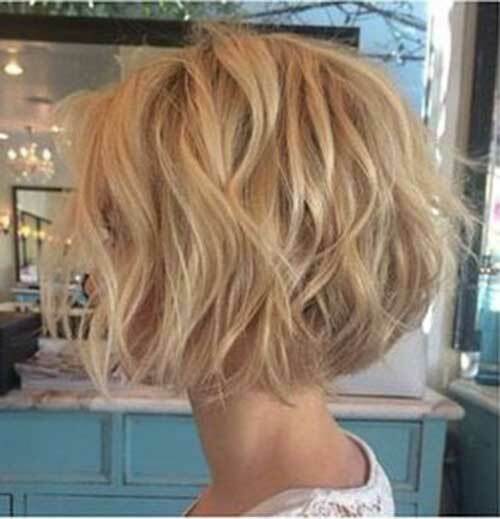 Look at this gorgeous asymmetrical short bob hairstyle as you can see her hair probably naturally wavy and this blonde hairstyle is just perfect.